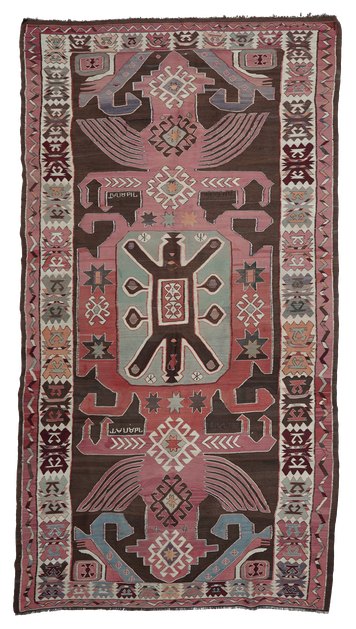 This impressive big sized Kilim seems to show a typical but not common design from the Kuba region. It has an eccentric „totemic“ appearance that makes it special. The colour palette is as well very particular, smooth and poetic. An intriguing piece, dated (but later erased) as 1955 production, including some other inscriptions.